Sir Ridley Scott Reveals More New Plot Details for 'ALIEN: PARADISE LOST'! Director Sir Ridley Scott has revealed more new details on his upcoming Prometheus sequel after last week revealing that new title, that it will connect back to Ripley & the original Alien Xenomorph. Alien: Paradise Lost will begin principle photography this coming february with Noomi Rapace & Michael Fassbender set to reprise their roles of Shaw & the android David. A 2017 release date is expected, with Neil Blomkamp’s currently-untitled Alien sequel likely coming out the following year with Sigourney Weaver & Michael Biehn returning as Ripley & Hicks. Hit the jump for the details. Scott: "Have you ever read Paradise Lost, by Milton? In a funny kind of way, it’s an interesting basis for the darkness of [Alien: Paradise Lost]. Where the good-looking guy, who is evil as s**t, gets all the girls and goes to the nightclubs. The other guy, who is not quite as good-looking, is boring as hell and stays home. So in a funny kind of way, we used that as the basis for it, it’ll be Alien: Paradise Lost. Which is very spooky, because it continues after the last one, where Elizabeth Shaw [Noomi Rapace] says, ‘I wanna go where they came from.’ And you’ve got Michael Fassbender in two parts, so she’ll slowly put him back together. They will go to the world of the Engineer…That’s where they’re going to go. They will find out who would design such an awful bio-mechanoid creature, like a massive piece of bacteria." 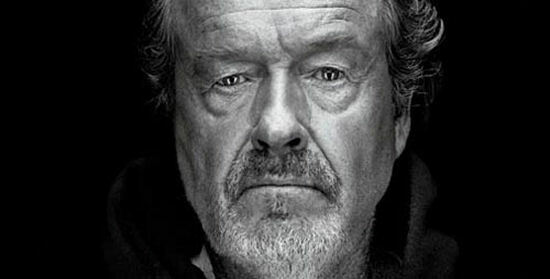 I'm reading: Sir Ridley Scott Reveals More New Plot Details for 'ALIEN: PARADISE LOST'!Tweet this!